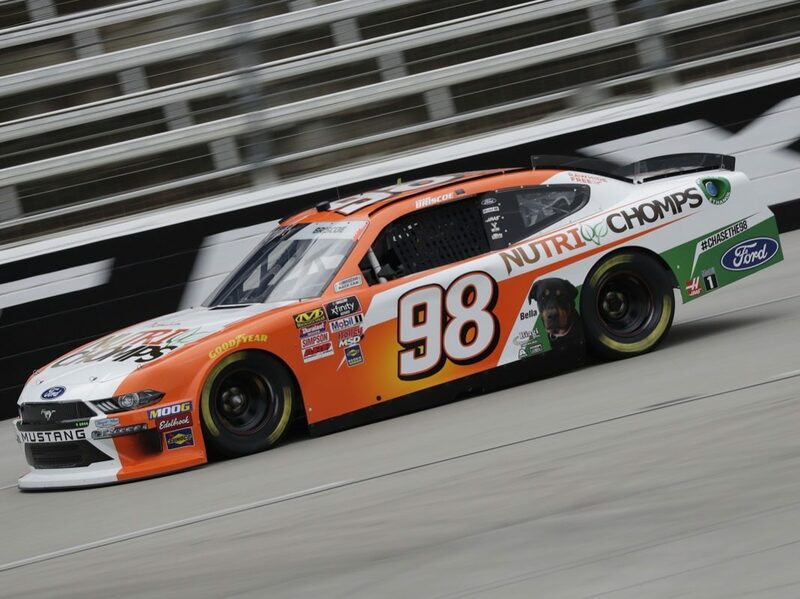 FORT WORTH, Texas – Chase Briscoe looked poised to steal a victory on fuel strategy Saturday at Texas Motor Speedway, and while those plans didn’t work out, he still came away with a top-five finish. Briscoe crossed the line fourth at the end of the My Bariatric Solutions 300, rallying forward late in the going after starting 15th and finishing outside the top 10 in the first two stages. 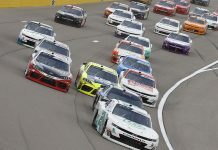 Late in the final stage, on a 61-lap green flag run to the finish, Briscoe was sitting eighth and highest among those who had saved enough fuel to make it to the checkered flag, putting him well in the catbird’s seat to capture his second-career NASCAR Xfinity Series victory. However, a late caution for Jeremy Clements’ stalled vehicle on pit road with 12 to go allowed all the frontrunners to pit for much-needed gas and changed the strategy for the No. 98 Ford team. At that point, Briscoe’s crew chief – Richard Boswell II – called for four tires and fuel, allowing Briscoe to line up fifth for the final restart with six laps remaining. From there, Briscoe gained one additional position once the green flag waved and challenged Christopher Bell for third before the checkered flag. Briscoe’s fourth-place finish was his best in six Xfinity Series starts this season and marked his second-straight top-five effort, keeping him 11th in points and on the provisional playoff grid. However, Briscoe couldn’t help but think about what might have been after the race. “I really feel like we should have been in victory lane if that caution didn’t come out,” said Briscoe. “We were gonna be the only car able to go on fuel; it seems like that always happens in those situations. I’m really proud of all my Nutri Chomps guys, though. We were literally a 13th to 16th-place car all day long and just kept working on it and getting track position and were able to salvage a top five out of it. While Briscoe didn’t see the No. 51 of Clements stopped on pit road, he admitted that he was actually prepared for a late-race debris caution prior to the finish. “I didn’t know (Clements was stalled). I thought it was gonna be for debris because that’s just how it always is and then I saw he was stopped on pit road,” recalled Briscoe. “You never know if you’re gonna have enough fuel, but I felt like I was saving a ton. I wasn’t even running wide-open down the straightaway and I was still able to maintain my track position, so I felt like we were gonna be pretty good and the yellow comes out. That was a bummer. 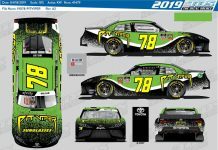 As one of the four highest-finishing Xfinity Series regulars on Saturday, Briscoe made himself eligible for the Xfinity Dash 4 Cash program, which begins next weekend at Bristol (Tenn.) Motor Speedway. 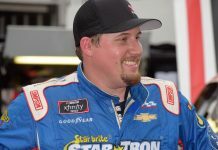 Should he finish highest among the four-driver group that also includes Christopher Bell, Tyler Reddick and Michael Annett, Briscoe will pocket a $100,000 bonus for his efforts.